I am constantly amazed at the statistics showing the discrepancies on wage comparisons based on gender. Some stats indicate that women make approximately 77 cents to the dollar of our male counterparts. Of course that figures improves a little each year – probably not quick enough for many of us, but it is moving. Facts tell us that women in high executive roles are out-numbed by our male counterparts. So much of the information we see on gender differences is eye-opening to many. 1. Quit thinking that the workplace is fair. If you were to “Google” class action law suits involving discrimination towards women you would be able to review recent cases against major companies like Wal-Mart and Goldman Sachs which validates that things are not as fair as we would like them to be. Getting better? Yes, but we are not where we need to be. Really – what are you waiting for? Women need to be more assertive in calling attention to their achievements, without bragging, to ensure the right people see the great things you accomplish at work. Asking for the right assignments can move your career forward. Speaking up at meetings doesn’t hurt either. How about asking for that well deserved raise, or asking what specific things you need to do to get that promotion? 4. Don’t ever, ever cry at work. We have heard that description before, “she was too-emotional.” Crying can help a women lose credibility, and a perception that they can’t cope under stress. We know the tears are not easily held back; but it is evident that we have to learn how to manage this part of our emotion without giving in to anger, which can follow the tears for many. 5. Make the most out of feedback and honest criticism. No one likes to hear about negative things – especially when their behavior or performance is at the core of the discussion. But, think what would happen if we never received any feedback at all. I like to think of feedback as a gift – with a great big bow on it! Not all feedback is right. That is why good feedback generates discussion for both parties, so validation and corrective action can be evaluated. 6. Look outside the office for opportunities. Don’t just put in the extra hours at work. Consider networking and connecting yourself outside of work just as important – especially for women. When you are not getting what you need at work, look outside to help you achieve your goals. Successful women do not wait for someone to provide them with positive feedback. They have learned how to recognize success, and know what to do to keep motivated energized. 7. Remember wealth is more than a paycheck. There are so many symbols of success, and a paycheck is only one indicator. When employed at organizations that provide employer benefits to help you reach financial/retirement goals – use them! Investments will help to secure a better retirement, so take advantage of the benefits employers offer such as a 401K. 8. The way you look and talk matters. I was told once that you dress for the job you want to have - not the job you have. Appearance has a lot to do with how we hold ourselves, how we communicate, our body language, and our assertiveness - all of which gives us the edge we need to be confident. Think about how you look when you walk out the door, and “listen” to yourself when talking to others. Do you talk down to people; or, maybe you talk over their heads to make yourself feel tall? Do you speak of others in a positive manner; or, do you have to look around to make sure others are not hearing how you talk about another person? 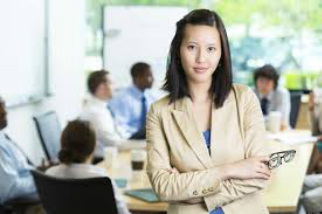 Women striving to find themselves in a leadership position have several challenges to deal with. Some are based on the challenges society hands out, others are organizational challenges. But, there are also challenges that are self-imposed. We can build on skills that are critical for all leaders; but particularly the skills women need to draw special attention to. Building skills provide opportunity to change what did not work before, or enhance what you know you are already good at. Remember, you are responsible for your career and your advancement. You may have an idea of what you want, but if you don’t plan for it and prepare yourself to be successful at it you already lost the opportunity. Join me for an upcoming seminar on Women in Leadership delivered at the Western DuPage Chamber of Commerce sponsored by their Women with Vision Committee. Click here for more details.